The Escape Select ES-752L is a premiere 52-jet hot tub in a seven-foot configuration. Equipped with lounge seating, the ES-752L come with neck jets, a cascade waterfall as well as our cascade pillows for maximum comfort. An added benefit to this model is our Pure Cure™ UV sanitizing system for easy maintenance. 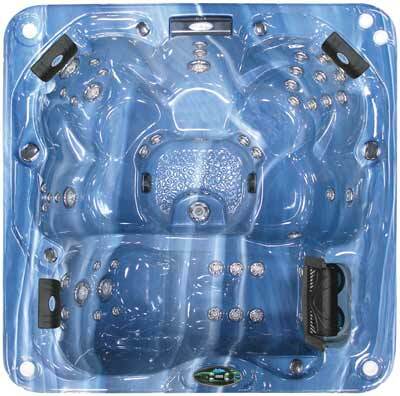 The ES-752L provides the best in hydrotherapy and entertainment all in one.